Home / Azure • OMS / OMS AD assessment not working, no data found. Agents must be installed on domain controllers that are members of the domain to be evaluated. The Active Directory Assessment solution requires .NET Framework 4 installed on each computer that has an OMS agent. 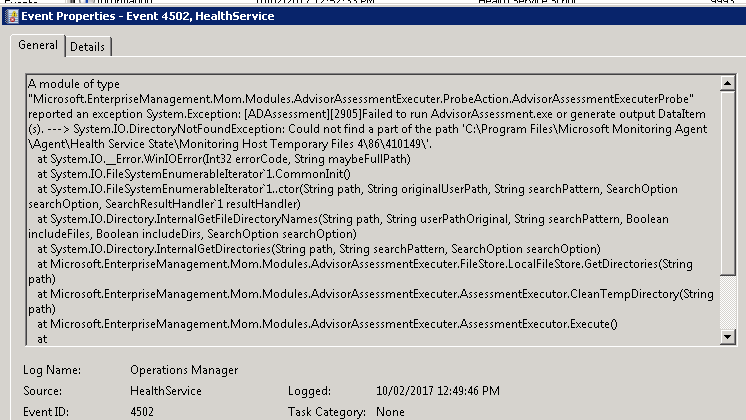 Add the Active Directory Assessment solution to your OMS workspace using the process described in Add Log Analytics solutions from the Solutions Gallery. There is no further configuration required. I also verified that the AdvisorAssessment.exe file was added to servers with agents. When you remove that key and restart the health service the OMS agent will think that the AD Assessment has never run and will force it to run again. 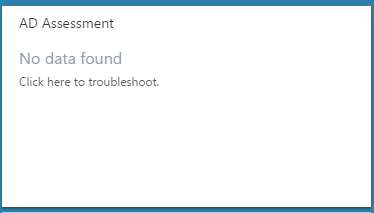 After analyzing the error several times the first thing that came into my mind was a .Net compilation error. But .Net Framework 4 was installed right? So this could not be the issue? This version is not the same as the full version. It is smaller in size and some DLL’s will not be installed. So, I installed the full .Net version, hoping this would solve my problem. This customer had a requirement to still use.Net Framework 4.0 which is not recommended as it’s end of life and not supported anymore by Microsoft. Please ensure you are using the latest version if you can. So be careful which version of .Net you are installing. It needs to be the full version of .Net. Starting with the .NET Framework 4.5, the Client Profile has been discontinued and only the full redistributable package is available. Optimizations provided by the .NET Framework 4.5, such as smaller download size and faster deployment, have eliminated the need for a separate deployment package. The single redistributable streamlines the installation process and simplifies your app’s deployment options.